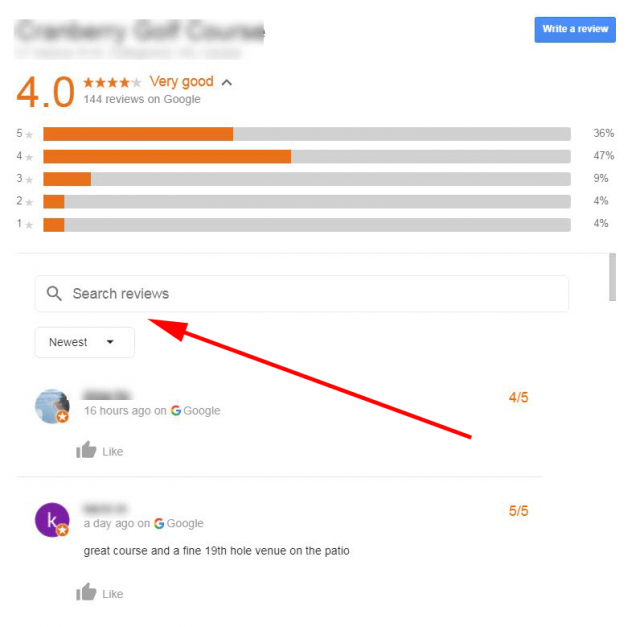 I cannot replicate this and I've tried tons of different branded searches to bring up reviews and look for a search box. Nothing has come up for me yet. 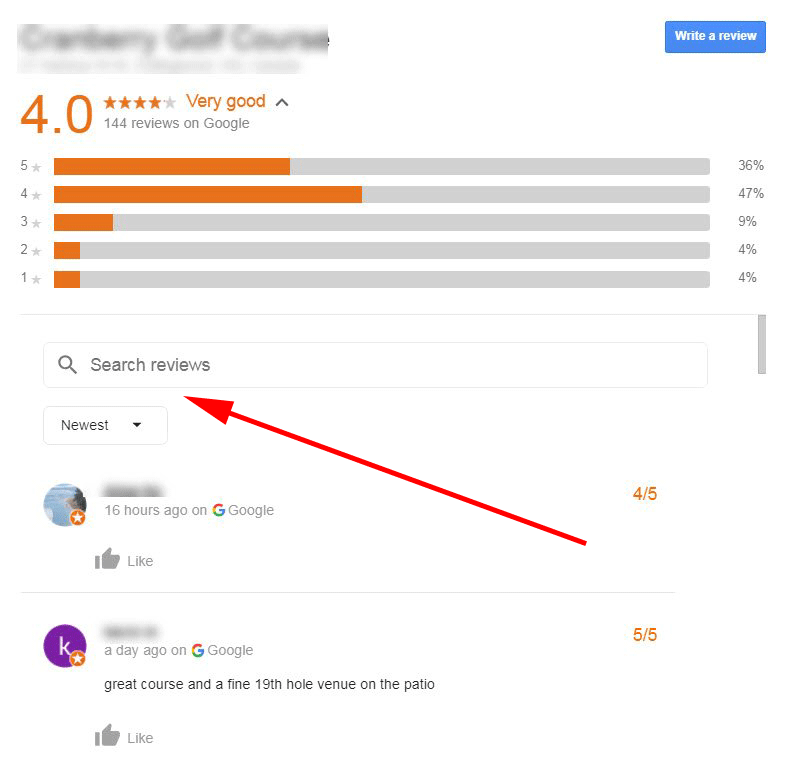 Do you see a search box for the reviews? I do find searching reviews, at least when I am looking to buy something, very useful.